Sierra View Medical Center invited the Porterville business community to think pink. 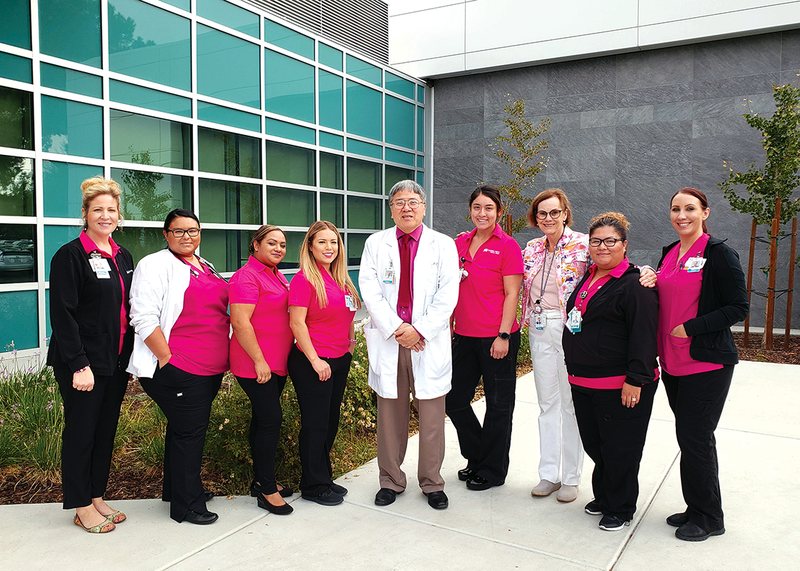 The Roger S. Good Cancer Center Treatment Center challenged Porterville businesses to show their support with a “Pink in the District” business-to-business decorating contest. Local businesses were challenged to use their creativity and competitive natures by decorating a public space, window or front door at their location to draw attention to the cause. To vote for your favorite business (10 local businesses competed in total), please visit Sierra View’s Facebook page @SierraViewMedical. Awards will be given in three categories – Best Decorated Door, Best Recognition of the Cause, and Most Original both for the internal hospital decorating competition, as well as the community based competition. Winners will be announced at the Sierra View Breast Cancer Awareness event “Let’s Flamingle to Fight Breast Cancer” on Thursday Oct. 18.